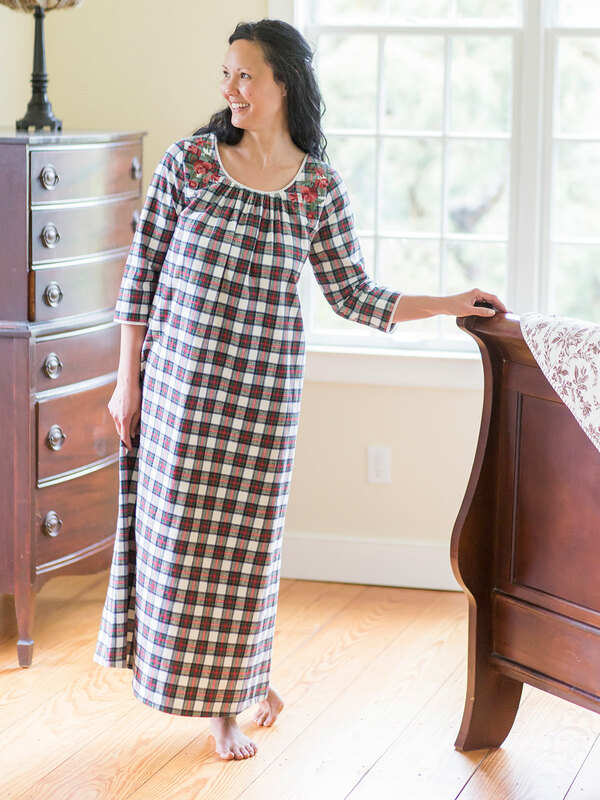 There's nothing like a cozy cotton flannel nighty to warm my spirits at the end of the day. 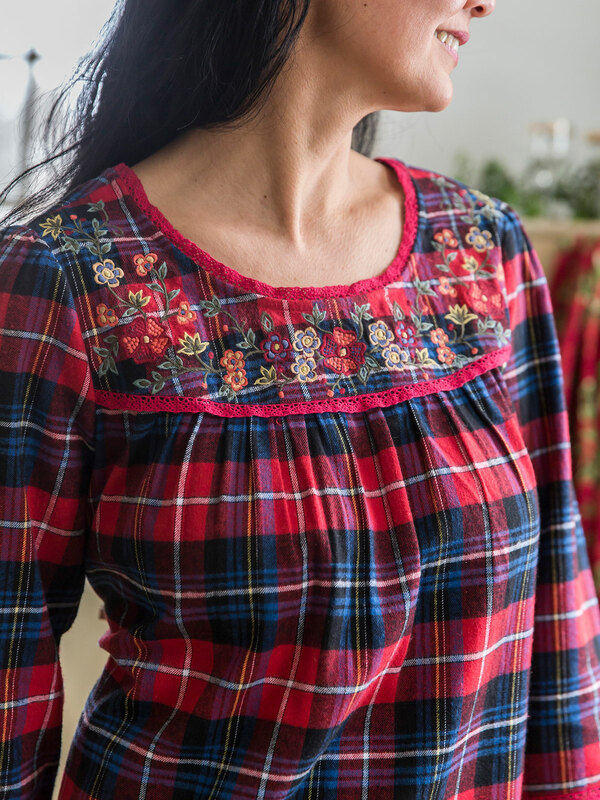 The Penny Plaid features a timeless midwinter color recipe and is deliciously adorned with April's signature floral embroidery and delicate crochet trims. I love this nightgown. It is so soft and comfy! 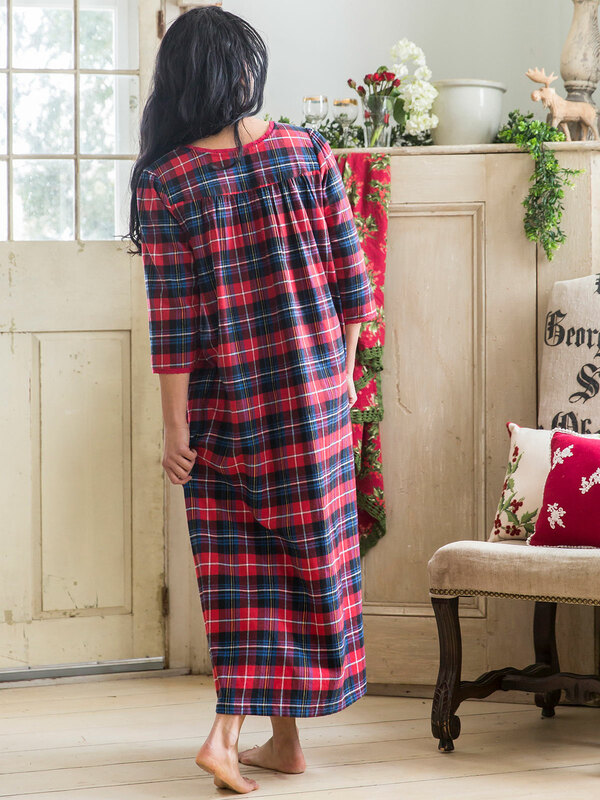 I ordered this gorgeous nightgown for a special gift to myself for after my surgery. It is so lovely and makes me feel so comforted. Its print and embroidery are gorgeous and oh so soft. I need pampering and will get it when I wear this nightgown. I love this gown. It has a good weight flannel, not flimsy and thin. The embroidery is very pretty and it washes like a dream. My lifetime favorite. 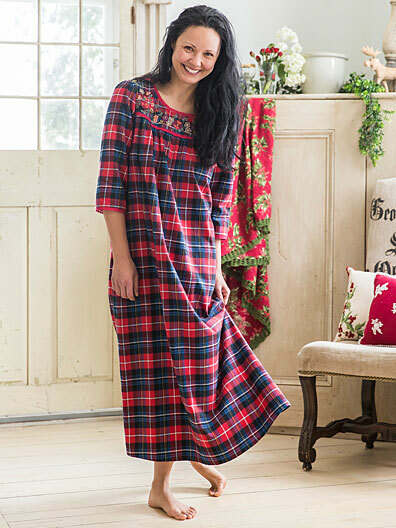 This nightgown is so well made and lovely. Soft and comfortable. Love this nighty! 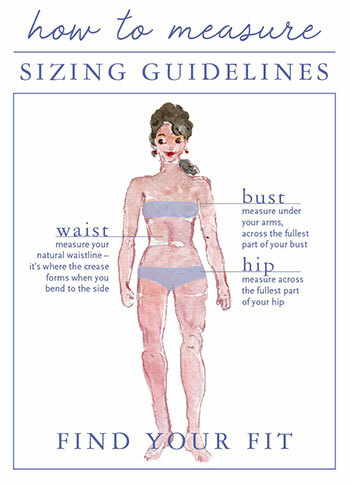 The fabric is the perfect weight...not too heavy for fall & not too light for winter. I especially like the lovely embroidery around the neck and the tiny lace on the sleeve cuffs. Those details make this not only a practical nightgown, but a pretty one as well.